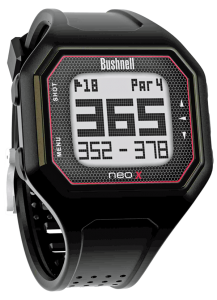 Bushnell has added another option to their line up for determining distance, the NEO-X Golf GPS Watch. Responding to consumer acceptance of wrist mounted GPS the latest model comes with over 30,000 courses already loaded with no additional fee or annual membership. 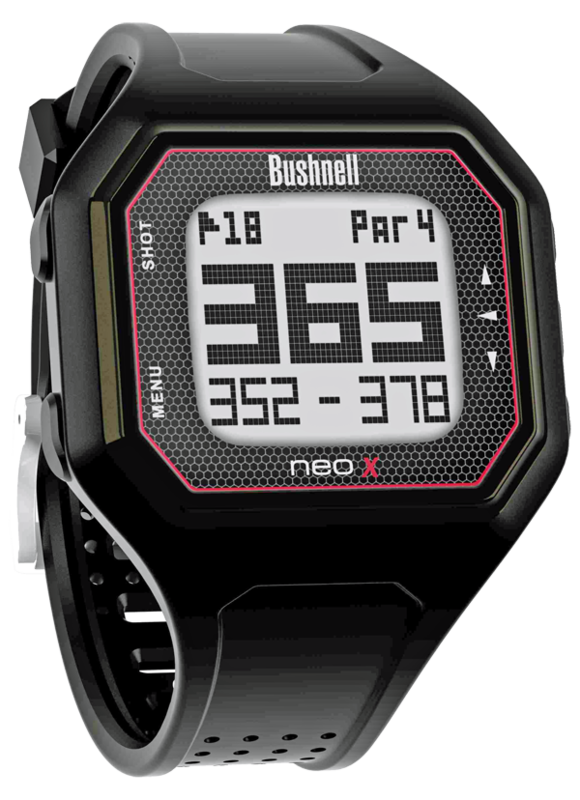 Bushnell pushes the idea of “Distance Made Simple” and the NEO-X is the thinnest golf watch they offer and certainly the lightest to wear. Another improvement has been made to battery life allowing over 3 rounds of golf – up to 16 hours of use – or when used just as a watch up to 24 months without a recharge. It’s simple to use needing to press only one button for Shot Distance, Hazards and Round Odometer, while providing over three rounds (up to 16 hours) of battery life. The NEO-X recognizes the course being played and it also advances from hole to hole automatically, meaning no more buttons to push. Plus should you feel the need there’s an odometer feature for tracking distance walked, speed and total time. Look for the NEO-X Golf GPS Watch starting May 1 for a suggested retail of $199.95.